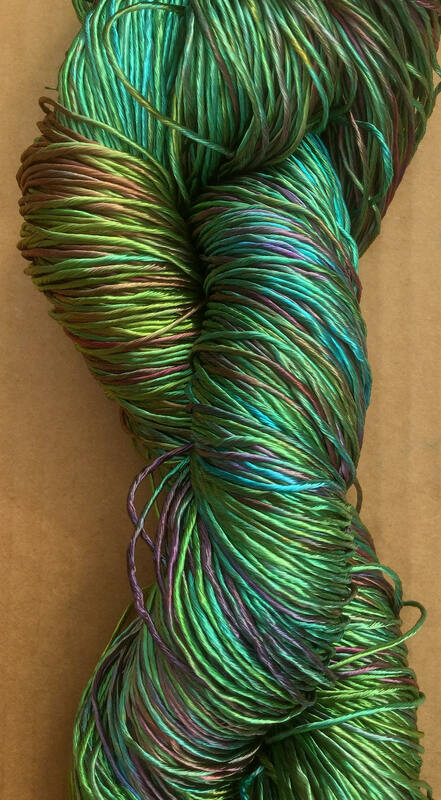 This listing is for one skein of Thick Rayon Floss (Viscose Floss) hand dyed by Oliver Twists. The thread has nine strands which can be separated and used in multiples of 1 to 9 strands. This thread has a high sheen and is wonderful for Stitching, Braidmaking, Kumihimo, Cordmaking and Textile Art.